whats the best way to move tanks 300 miles away? Are you going to rent a U-haul or otherwise the same ? Or are you talking about a pickup truck ? I wrapped it in a blanket on all the sides, put braces around it so it could not move inside the truck and drove. This was completely successful and worked out perfectly. Are you moving ?? where to if so ? 180 WC T. Moorii Chilambo +1 Petro trewavasae. I moved about 8 small tanks from Tallahassee to Houston, which is an 11 hour drive. I basically bagged all the fish the night before and the morning of, kept a few in their tanks which were smaller, loaded them into my Civic, and drove. In most of the tanks I kept about 10&#37; of the original water, so the plants wouldn't be completely dry and the bacteria in the substrate wouldn't die off and adversely affect the fish when I put them back in their respective tanks. Then, when I got to Houston, I took the fish out of their bags and put them in their tanks. No losses. I'm looking at your signature, and what I would do would be to bag the pea puffers and the danio, and bag all of the crays you can catch. I would then drain their tanks about 3/4 of the way. The shrimp tank I would probably just leave but drain about 2/3 of the water out. Not sure about the map turtles, because I don't know what all is in their tank, but they will probably be fine with just a little bit of water in the bottom. I moved about 8 small tanks from Tallahassee to Houston, which is an 11 hour drive. I basically bagged all the fish the night before and the morning of, kept a few in their tanks which were smaller, loaded them into my Civic, and drove. In most of the tanks I kept about 10% of the original water, so the plants wouldn't be completely dry and the bacteria in the substrate wouldn't die off and adversely affect the fish when I put them back in their respective tanks. Then, when I got to Houston, I took the fish out of their bags and put them in their tanks. No losses. I laugh at Hole In the Head. Be careful moving tanks with water in them. Even a little water can stress the seams as they are being carried around. I'd definitely remove all of the water from any tank larger than a 20g (and I'd personally remove the water from that, as well). What I'd suggest is that you pull what you can into large plastic tubs. Use battery operated aerators to keep the water oxygenated throughout the move, including while in the car. The day before... Get as many tubs as your car can handle, the more and the larger, the better. Pull your substrate, plants, decor, everything into the tubs. If you can rig up any filters, let them run in the tubs. 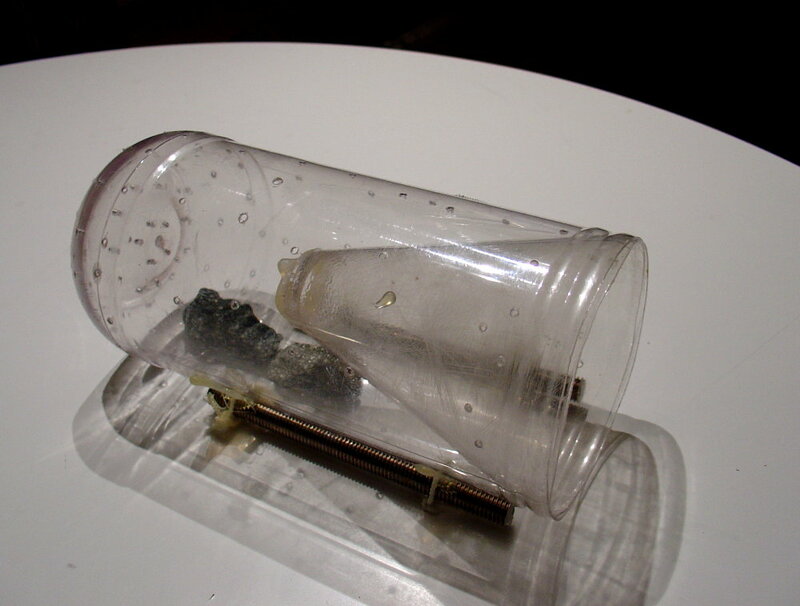 Otherwise, bag your filter media and add to the tubs. Then just before you're ready to hit the road, put the fish in, making sure to separate any that may fight or become stressed when put together with too little room. Now break down your tanks completely, load them into the car, and hit the road. When you get to the new place, set up the tanks, filters and all. Put your substrate and plants in. Add whatever amount of old water you can get away with (not for bacteria, but to help with acclimation to a new water type). Fill the tanks with fresh water. Drip acclimate the fish. Put the fish in the tanks. I did this when I moved just 15 minutes away. I had no choice but to break down my 75g as you cannot possibly move a high tech tank like that without a full break down. Since I didn't want to put most of my fish together in close quarters, I used a bunch of plastic shoe boxes with just a few fish in each. Because I was moving so close, I didn't have to aerate anything; if I did, I would have used larger tubs with a battery operated aerator. I also had a number of extra tanks sitting around that I normally used as Q/T and H/T tanks. I moved those over the day before and was able to move the fish into them while I set up their regular tanks. This is especially helpful with planted tanks since they take a little longer to setup than most other tanks. I moved my smaller 5g tanks by removing fish, draining most of the water, and then sealing the tops to hold moisture so the plants wouldn't dry out. I was able to set them up quickly by just adding water and fish/shrimp. Keep in mind that fish don't need to be in an actual tank when being moved, and it might not be best to try to do it that way. Sometimes cutting corners can cause more problems than they help. A full tank breakdown isn't really that bad. As long as you keep your bacteria alive, you can set up the tanks and add fish right away. Just watch for any mini-cycles, and if a tank shows signs of one, do 1-2 water changes every day to keep the water in check until the bacteria is back in full force. By your signature, your cray tank is 10g, right? You should be okay moving it with a little water. I'd be careful moving a 34g tank with water though. To catch the shrimp, use a trap. 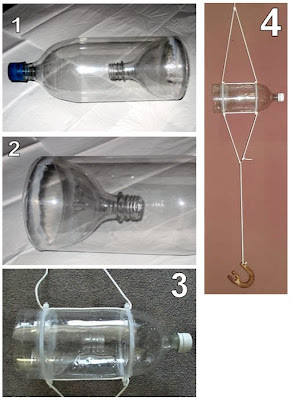 You can make one very easily with a plastic coke bottle. Cut it in half, turn the top upside down, and stuff it inside the bottom. Put food inside and set it in the tank so that the shrimp can climb in. Once they get in, they can't get out because of the shape of the mouth. Here's a picture of a similar trap. It's very easy to make, and it definitely works.